What is a Minor II-V-I Progression and How To Improvise Over? 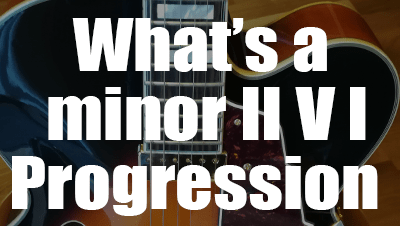 ​What is a minor II V I Progression? New eBook available | 10 minor II-V-I jazz guitar licks with tabs, scales charts & audio files. A new eBook is now available. - 1 printable PDF eBook including 10 II-V-I jazz guitar licks with tabs, scales charts, and analysis. - 1 C minor II-V-I backing track (Quality mp3 audio file). - 10 minor II-V-I audio files (Quality mp3 audio files).